So, after starving for quite a long time, we are ready to taste the latest recipe from Android. 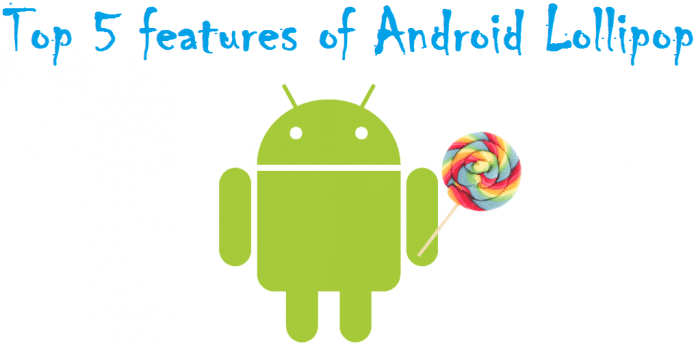 Most people are eager to know when they are getting the upgrades, but there are some changes in Android Lollipop which you have never seen before, so here’s our sneak-peak into the Top 5 features of Android Lollipop. Android Lollipop is may be the first one, to get so many changes. Design, UI, features and a lot more have been improved, so let’s start with our brief tour into the top % features of Android Lollipop. This is the most significant change in the Android L. And Google’s design philosophy has been applied perfectly in it, the UI is now more fluid, beautiful, vibrant and easier to use. Though while using an Android L smartphone you won’t find any difficulties, it is just like any other Android smartphone, but one thing you will get, that is a better UI and easy handling. 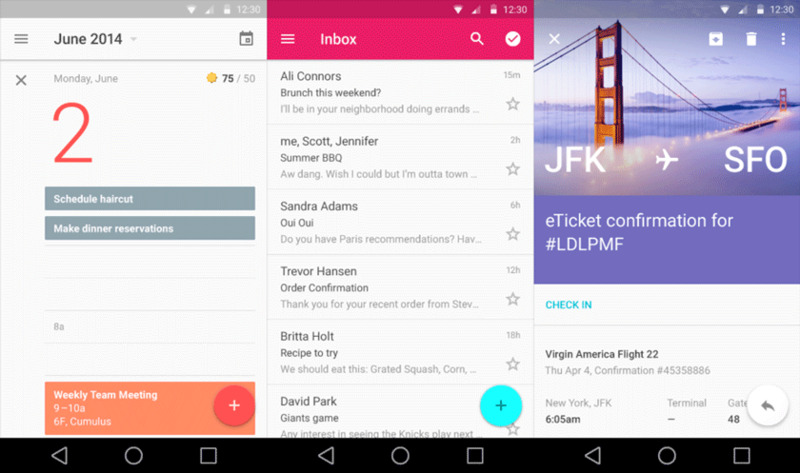 Material Design is may be the biggest design refresh in case of the Android OS and it is absolutely great. Managing the notifications is now on of the top priorities of all smartphone platforms and Google managed this issue quite nicely in Android Lollipop. The notifications are better than ever, with options like DO NOT DISTURB, which lets you enjoy your favorite movie without any distraction. You can choose the way you want to respond to notifications and can also manage them directly through the lock-screen. 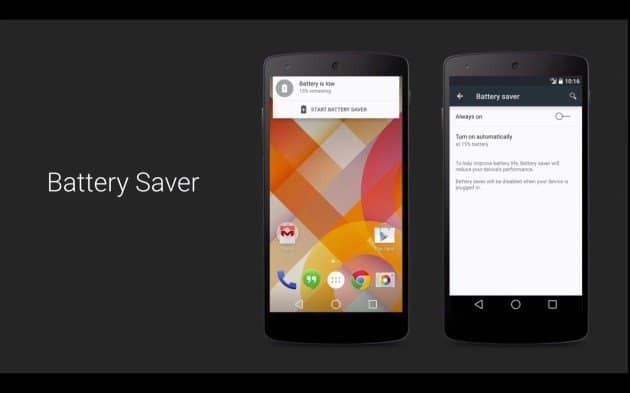 All the platforms including Android have battery saver mode, and it is not a new thing. But it went better with Android Lollipop, Google has claimed that battery saving mode is better than ever and now, it will enable you to extent your battery life further, upto 90 minutes of extra device usage. It is one of the most useful features, for people who let others use their phones or share phones. Now, you can keep control of your device by setting guest accounts and all the things your friends need. You can also pin some apps, so that the other users will be able to use only those apps you have selected. Android Lollipop has now got some great security features, like there is automatic encryption to protect your data. Also, the biggest feature is terms of security is pairing. You can pair your device with another, like your smart-watch and to unlock your phone you will have to pair both of them. The new OS is also introducing better quick settings, improved connectivity and even faster runtime and performance. Quick settings will allow you to quickly tweak the essential settings right from the homescreen, and you can double tap to get into the detailed settings. The same thing will apply for connectivity also. Let’s see what comes next, we will keep you updated as soon as we try it.